Was offered another Sphinx SXW in trade yesterday (for some reason, Sphinx's gravitate to me!) Prior Sphinx's I had all had aluminium cast spur gears. This one had brass for all 4. Is this a sign of the age of the head assembly? I believe all recent manufacture SXW's have/had alminium cast spur gears, and only the SXP and maybe the SXD had brass 180 tooth gears. I believe this one is also the older Tsukasa motors instead of the more recent Sayama. Any ideas? 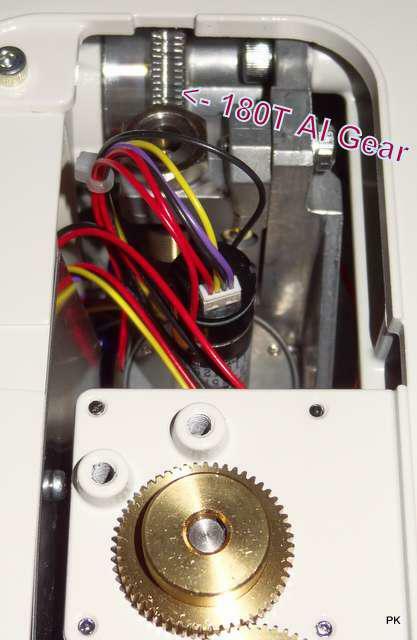 Or are the alu gears only on the VERY recent SXW merge to SX2? I just removed the gear cover for my Tsukasa motored SXW and it looks like brass gears. My SXW s/n is 6767 (bought new about 2 years ago), and has brass gears. This is the first time I've heard of aluminium cast spur gears being used in any SX mounts. In Sphinx comparisons on the Vixen Japan site, it says the SXW and the SX2 have aluminium spur gears, whereas the SXD and the SXP have brass. Interesting Vixen does not seem to lubricate their gears - mine have ll been bone dry like Steven's above. I always added a VERY small amount of lithium or graphite grease. Okay, see that now - that's for the 180T gear on the RA/DEC shaft itself, not the relay gear (which are not 180T). 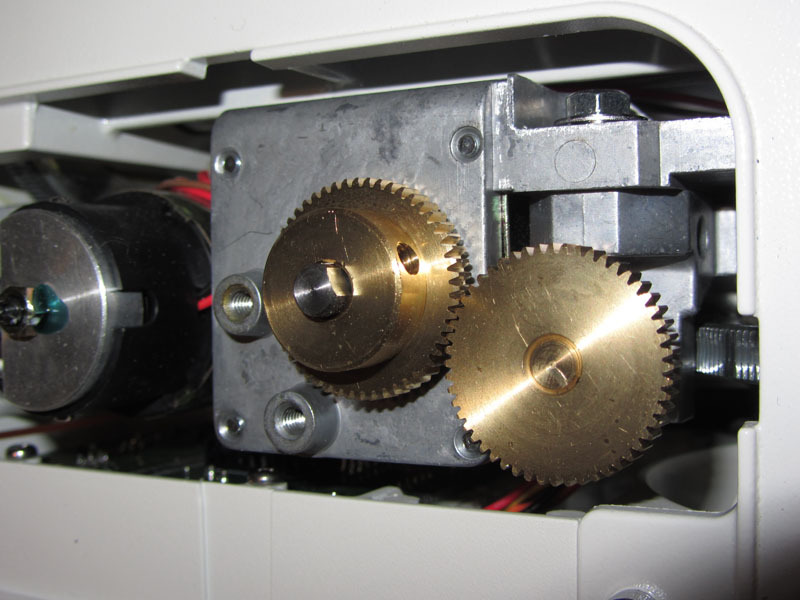 This is a pic of my SXW (using SXD Sayama motors in later incarnation) where I've noted the 180T gear, it's aluminium (it's in Steven's pic, on the right edge at the notch in the housing). Anyone with a SXD and confirm theirs is brass? There are pics on Vixen Optics and Teleskop-Express website that says 180T Brass gear is only found on the SXD2, while the SXW/SXD spot aluminium gears. Link to T-E Page. Link to V-O Page. fwiw back in SkySensor 2K days (SP/GP, and with regular single/dual axis drives as well), iirc they didn't recommend any lube on the brass gears, I just gaped mine with a thin sheet of paper and worked problem free when I had the drive. The old GP also had an aluminium worm wheel. The GPDX and 2 supposedly used brass.